Texting. It’s literally the most used form of communication on earth. Over 20 billion texts are sent per day. It’s the most used “app” on any smartphone and a staple service of any digital phone or device. Whether it be SMS, Messenger, WhatsApp or any other direct communication tool, texting is part of the human fabric. Despite this, it is an incredibly underutilized marketing medium. Marketers sense the almost limitless potential of messaging but, to date, few capitalize on it. That will soon change. Why? Three factors will drive the change – Facebook, Rich Communication Services (RCS), and the rediscovering of SMS as a marketing platform. Let’s start with Facebook. Zuck and company are coming under increased pressure to mine revenue from their $19 billion WhatsApp acquisition as well as from their native messaging app, Messenger. WhatsApp boasts a 1.5 billion user audience while Messenger is a close second at 1.3 billion, yet neither are producing any serious revenue. During their Q2 earnings call, Facebook was again challenged with how they will monetize their Messenger and WhatsApp audiences. Facebook COO, Sherly Sandberg, responded that “we are furthest ahead in Messenger, but it’s still very early days.” Further, she added that Facebook is building out a “business ecosystem” for WhatsApp that would enable businesses to communicate privately with customers. Facebook is also developing Facebook ads that click to WhatsApp. A user who clicks on the ad will be driven to a pre-filled WhatsApp chat within the app. And this is just the beginning. When the dam finally breaks on these two services, the messaging marketing landscape will be greatly redefined. RCS is a protocol started in 2007 designed to supplant SMS. SMS is currently only text-based and limited to 160 characters. RCS seeks to add group chats, audio and video sending capabilities, high-resolution image sending, and the ability to receive read receipts as well as additional interactive features. To get a flavor, see this video. As the video suggests, RCS could be a true one-to-one marketing tool that leverages the high interaction metrics of SMS with the power of richer applications like WhatsApp and Messenger without the need to download those said apps or even own a smartphone. The applications are nearly limitless – better customer interactions, higher retention, and increased ability to up-sell/cross-sell current customers as well as effectively retain new ones. 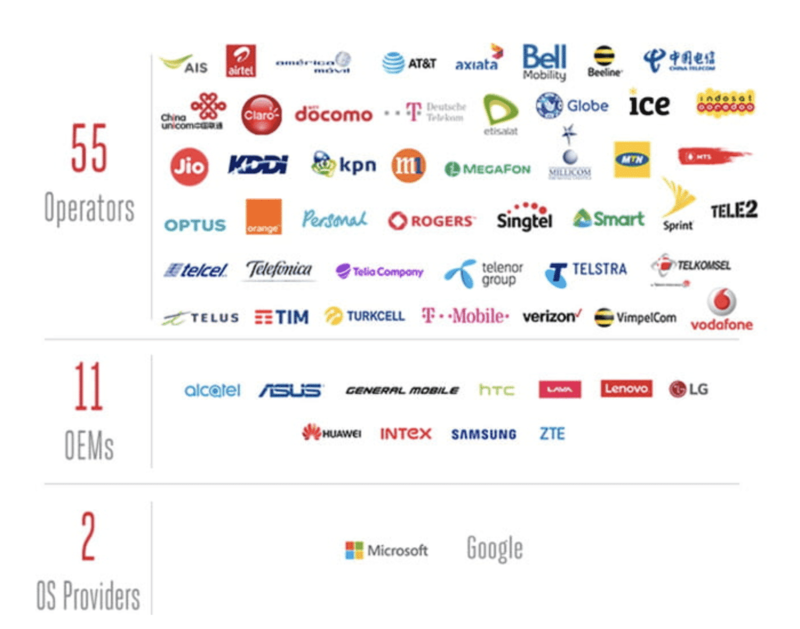 Apple’s iMessage already has many of the RCS features but Google is looking to leapfrog the smartphone pioneer, working with nearly every mobile provider and Android device manufacturer to roll out their RCS offering, Chat (see chart below). Chat will incorporate the features mentioned above along with, as Google promises, a few “surprises.” Chat is set to roll out within the next 12 – 18 months. Once Chat is live the pressure will be on to monetize these features. Brands should start planning now for the best way to incorporate these RCS advancements. While the obvious storm being brewed by Facebook and Google is game-changing, SMS is already making its own comeback. As mentioned above, the texting platform itself is limited (160 characters, plain text, etc). However, the software around SMS marketing is considerably more advanced. Compare these to email at a 20% open rate and 6% interaction rate. It’s no wonder performance marketers are rediscovering the medium (read what Neil Patel says about SMS here). Further, more and more major brands are incorporating SMS for loyalty, important updates, and unique offers and exclusives for customers. Also, SMS marketing is easier to do than ever. Several marketing service platforms such as Twilio, Active Campaign, and Infobip, incorporate bulk SMS sending abilities, streamlining SMS capabilities as part of a greater marketing mix. Stand-alone, next-generation platforms, like SMSEdge, are also available using AI to deliver better performing campaigns. The combination of effectiveness and ease-of-use makes the SMS of today a highly viable marketing vehicle. 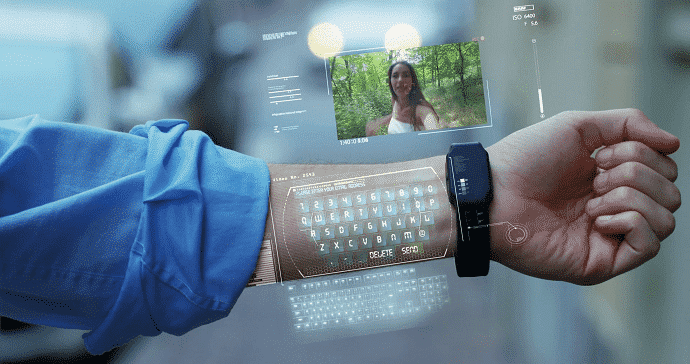 In sum, the sheer potential reach along with the current and inevitable technological advances being brought to market by power players like Facebook and Google means a blue ocean of opportunities with message marketing. Great article. Texting is becoming more widely adopted… and the need for text message marketing pros is growing every day. Engagement rates are through the roof. I know of several business owners who use texting to drive viewers to their facebook Live events… and announce blog posts. You missed one big company who helps small and medium sized businesses Betwext.com. Oh… one other thing. Texting is great with 1 to 1 communication too… if you send out a text blast, you can then follow-up with the individuals who text you back!